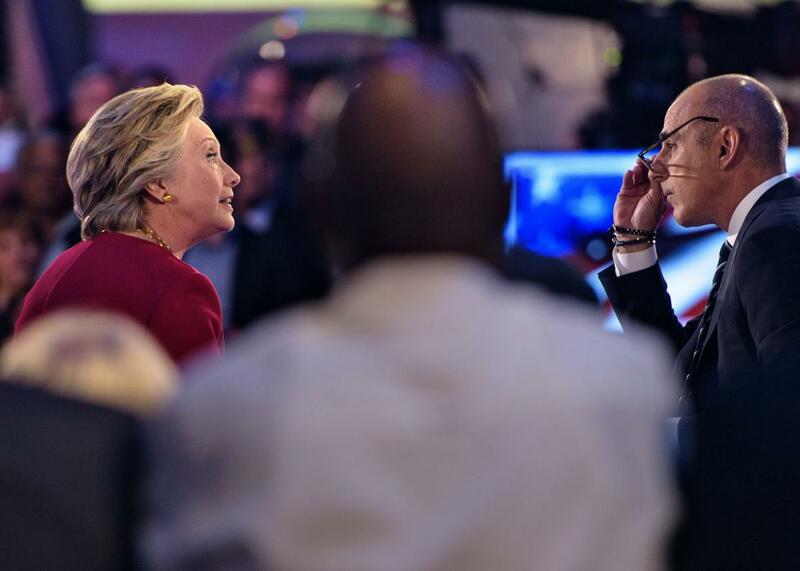 Hillary Clinton harshly criticized Matt Lauer's journalism in What Happened. Matt Lauer interviewing Hillary Clinton in September 2016. NBC News fired Lauer from Today after the network received a formal complaint of workplace harassment; in a memo to employees, executive Andrew Lack said there was suspicion that “this may not have been an isolated incident.” But we can’t retroactively go back and scrub Lauer’s influence from the past years of political coverage. He may have been a morning show host rather than a hardnosed investigative reporter, but like Mark Halperin or Glenn Thrush, he has still helped shaped the narrative. “I was almost physically sick,” wrote Clinton in What Happened, reflecting on the imbalanced interview; her words feel even more apt now.